Not long ago, Dentyne announced they’re giving a couple of young women a chance to achieve their dreams, simply by using their smile. Their #DentyneSmile competition and campaign encouraged us to tap into our positive attitude to get ahead in life. The prize, worth more than R220,000 includes a personalised digital video advertising campaign, a Dentyne product hamper, a copy of the book Girl Boss, a shopping voucher, an Apple I Pad 4 Mini notebook and an exclusive lunch date with Dentyne spokesperson Minnie Dlamini. 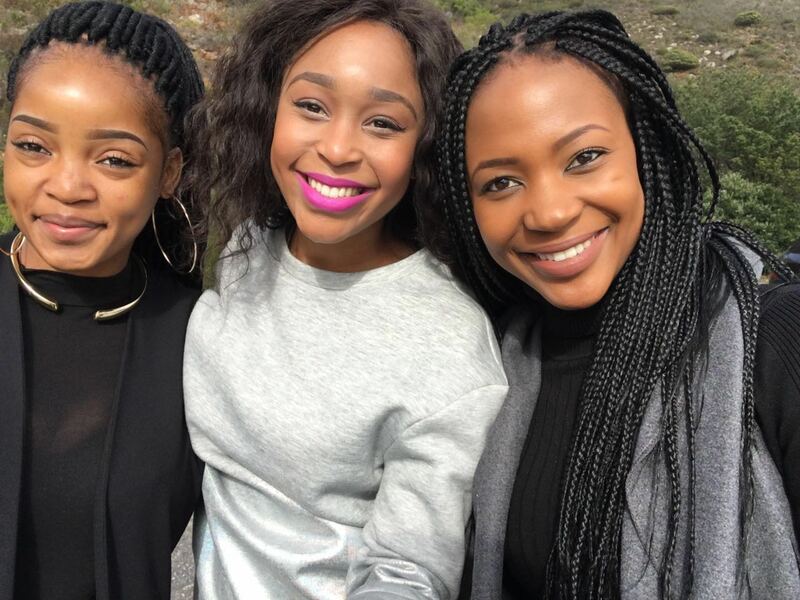 I caught up with one of the lucky winners, Siya Mfenyana, to chat about her winning experience. Hi Siya! Tell us about yourself. I am 23 years of age and I live in the City of Gold aka Jobeezy. I am an Account Manager at an advertising and PR company in Rivonia. I had zero knowledge about this industry when I first started out, as I had studied a BSc in Behavioural Genetics in varsity. 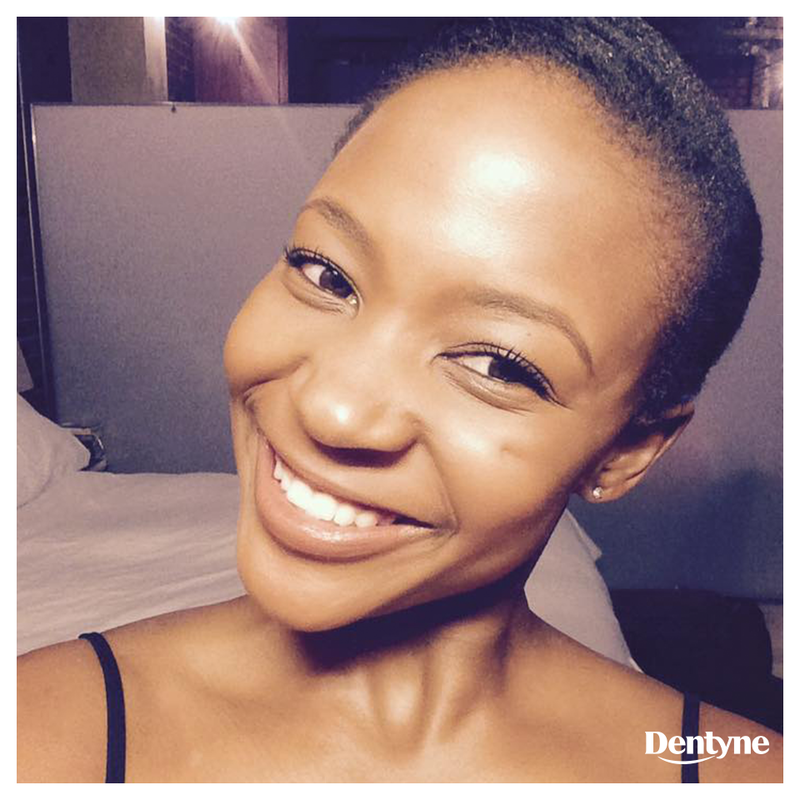 What made you enter the #DentyneSmile competition? and look amazing!. Those were all the things that were going through my mind, but I just decided to stop making excuses and do the damn thing! I didn’t want ‘a should have, could have, would have’ situation at the end of the competition. So, I took the leap of faith and I entered. You’ve won some amazing prizes to help achieve your dreams, how would you summarise your goals? My primary goal is to get scouted by one of the production houses in SA. I’m passionate about TV and presenting, so I’d love work in that space. My end goal is to become a household name, but I know that it’s easier to say that than to actively go out there and make a name for yourself. But I’m not afraid of hard work. I just need to get my little pinky toe in the door and then it’s all systems go! What does “The Power of a Smile” mean to you? To me, it means that you have the ability to change the way someone is feeling or thinking. A smile is such a small, but impactful gesture. So many things can come from it: the start of a new friendship or relationship, healing a broken heart, making someone feel special after a really bad day. Your smile is the silent connection you make with a loved one or stranger – it’s a reflection of your heart and soul. No bad can come from of it. How do you use your smile on a daily basis? I use my smile to brighten up one’s day. It’s amazing what that small gesture can do. I also love taking photos. So before I smize or pout, my first reaction is to smile. I also smile because it just makes me feel good on the inside. I would rather have smile wrinkles than frown wrinkles! Describe what you believe true happiness is in one sentence. Waking up every morning knowing that you are living a purpose and passion driven life. My parents. Selfless, loving and smart. They have embraced what life’s handed to them and they have come out the other end stronger and wiser. They are the reason why I want to be the very best version of myself. I’ll never get to the point where I think I’m the best because I will always keep pushing the envelope. They instilled in me the culture of excellence from a very young age. Because of them, I know that I have not been called to be mediocre. Tell us about your lunch with Minnie. Our lunch was at Tasha’s at the V&A Waterfront. It was just us two winners and Minnie at the table, so it was pretty intimate. We had a proper one on one session with her. We were basically just discussing what it is that we want to do and how to go about doing it. 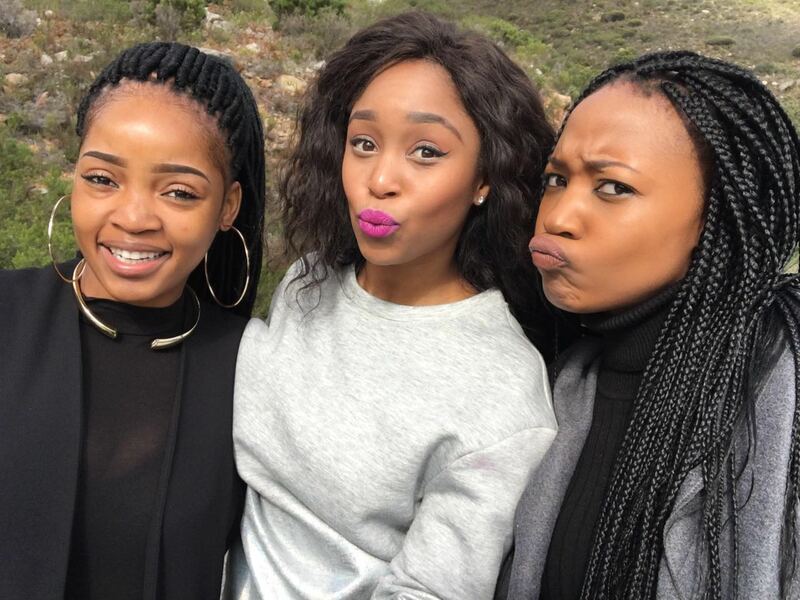 What did you learn from meeting Minnie and the other winner? I learnt that I need to be more relentless in the pursuit of my dreams, I need to deviate from what other people are doing – that’s how I’ll stand out. I need to ask myself what is it that I really love and what is it about me that makes me unique and use it to benefit me. She was really easy to talk to and she was very honest when she gave us advice. If a shy little girl was reading this blog post, what advice would you give her? Your dreams are valid. They can take everything away from you, but they cannot take away your voice and your mind. Use them to do better and become better. Next Post Baby O. is here!